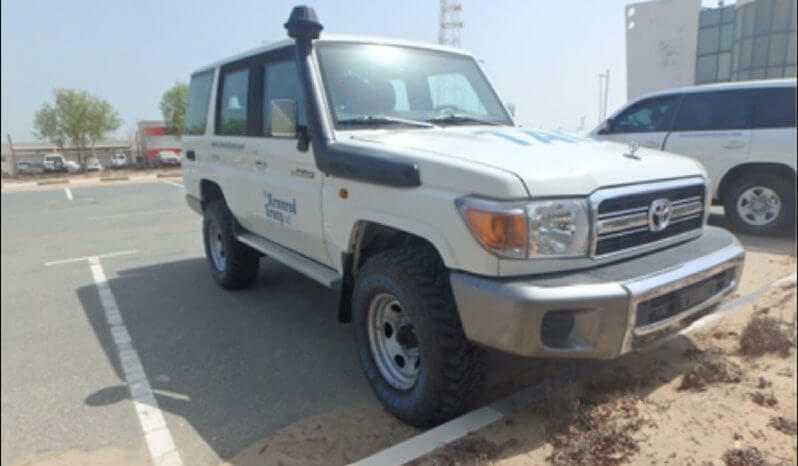 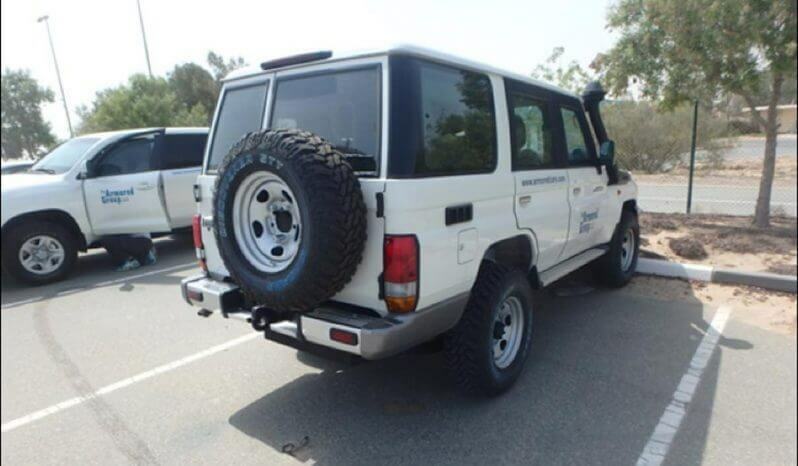 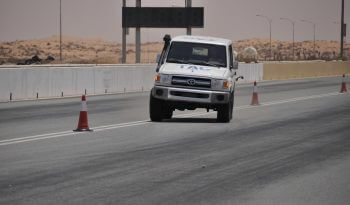 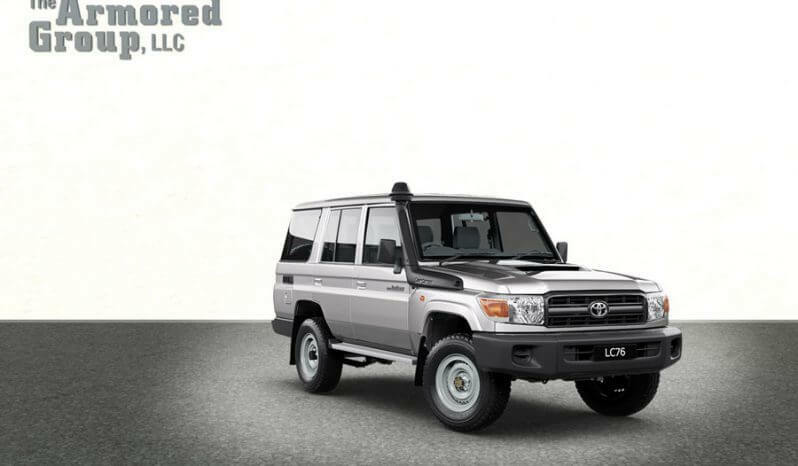 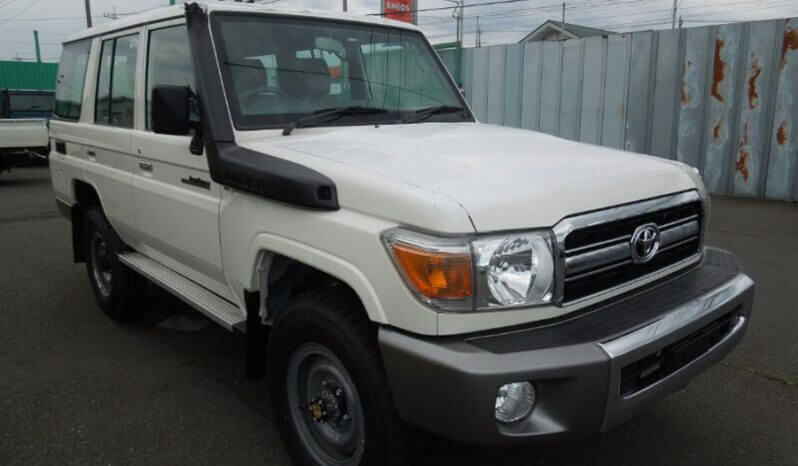 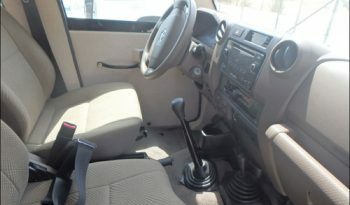 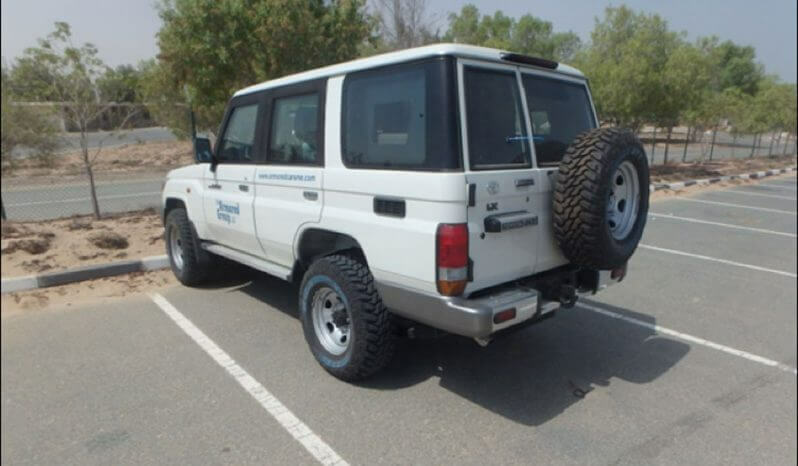 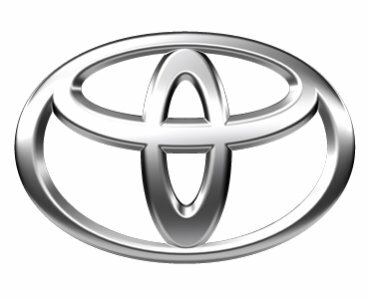 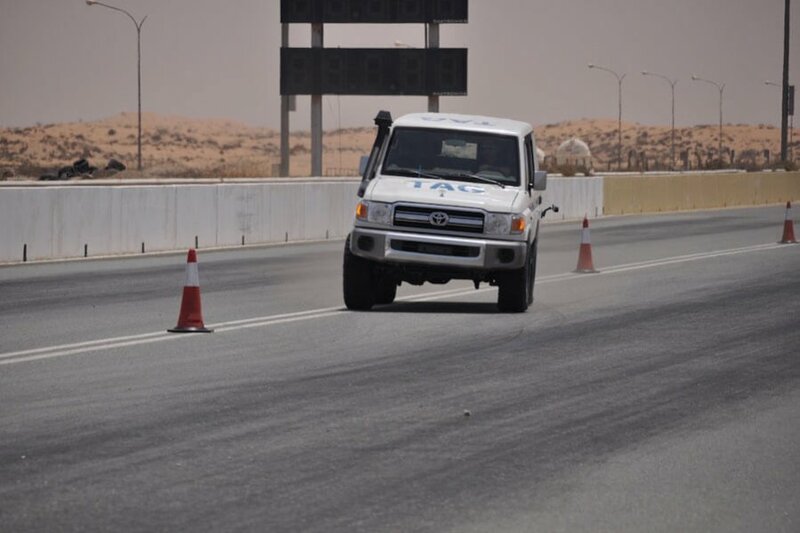 The Toyota Land Cruiser (TLC) 76 Series is a hardworking, solid, bare-bones sports utility vehicle (SUV) known for its durability, ease of maintenance, and international parts network. An incredibly tough design makes this vehicle ideal for armoring. 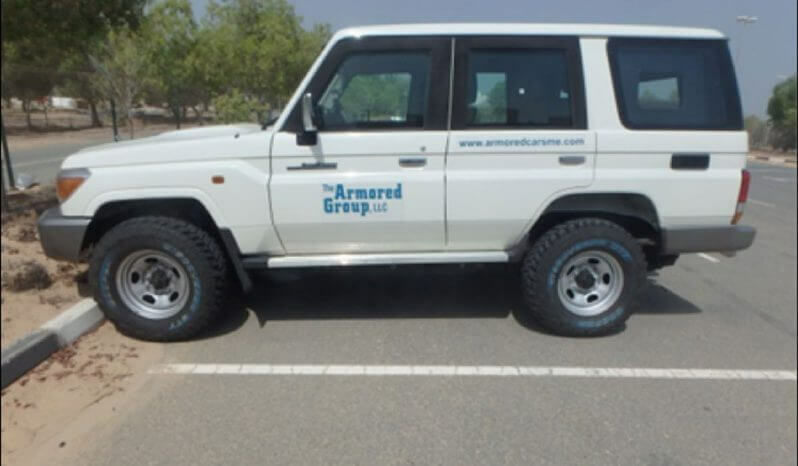 At The Armored Group (TAG), LLC, we love custom-armoring these vehicles for our clients, adding the perfect amount of exterior and interior features to make this already impressive chassis shine. 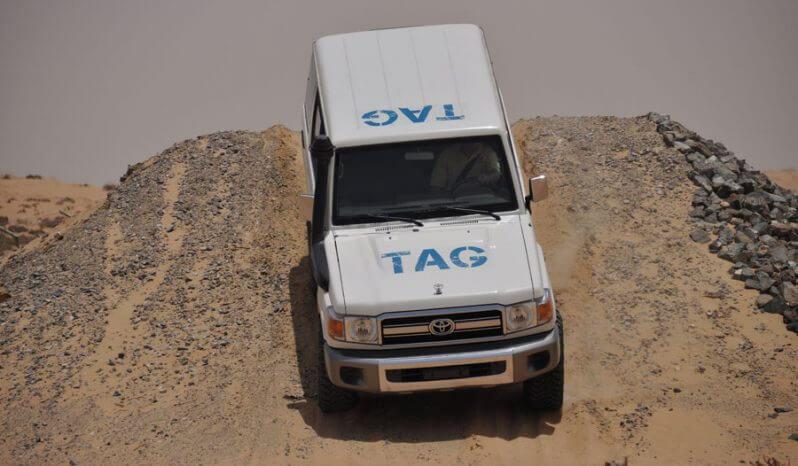 Keep your unit comfortable and free from harm in the most hostile environments in a rugged, armored vehicle from TAG. 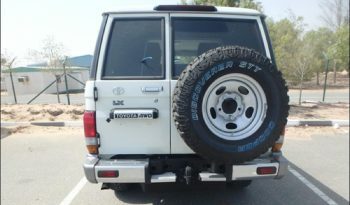 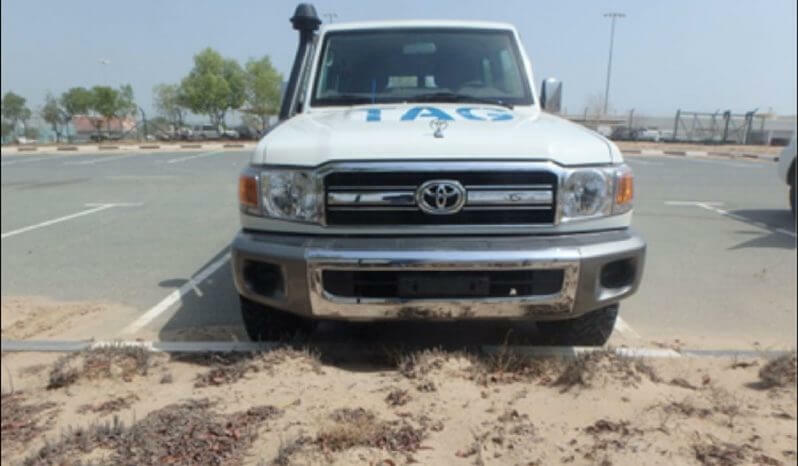 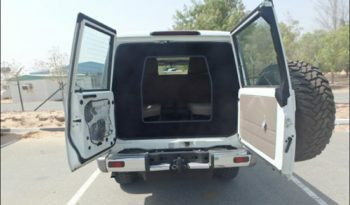 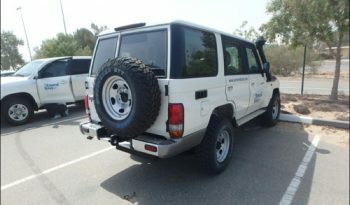 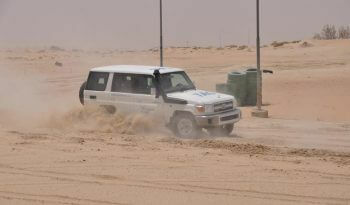 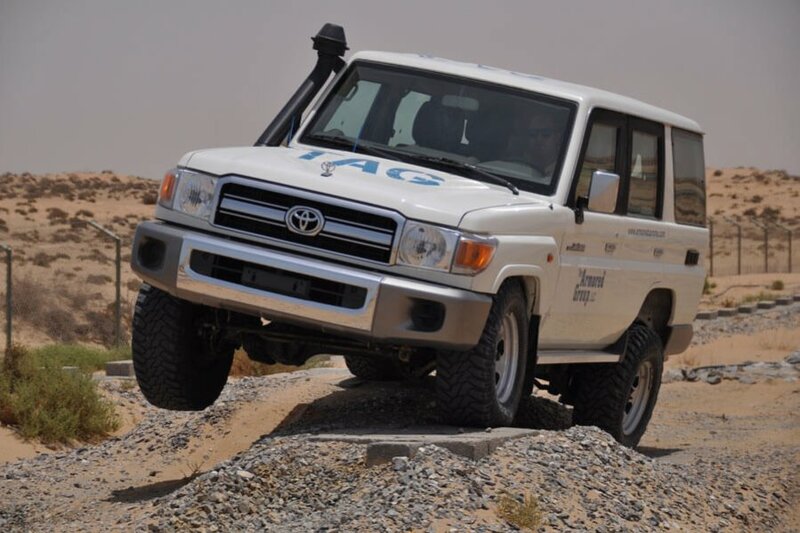 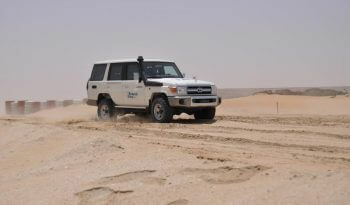 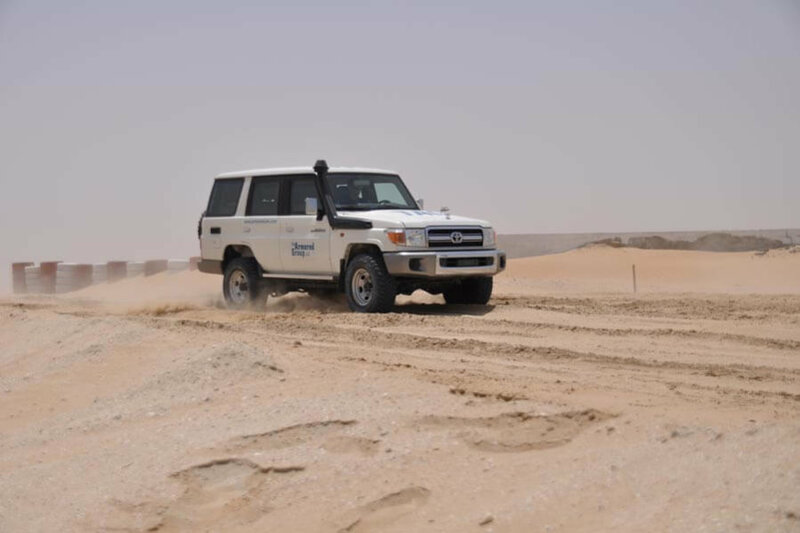 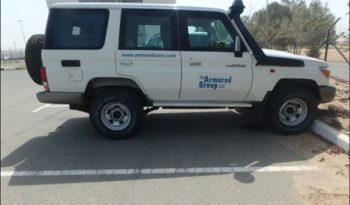 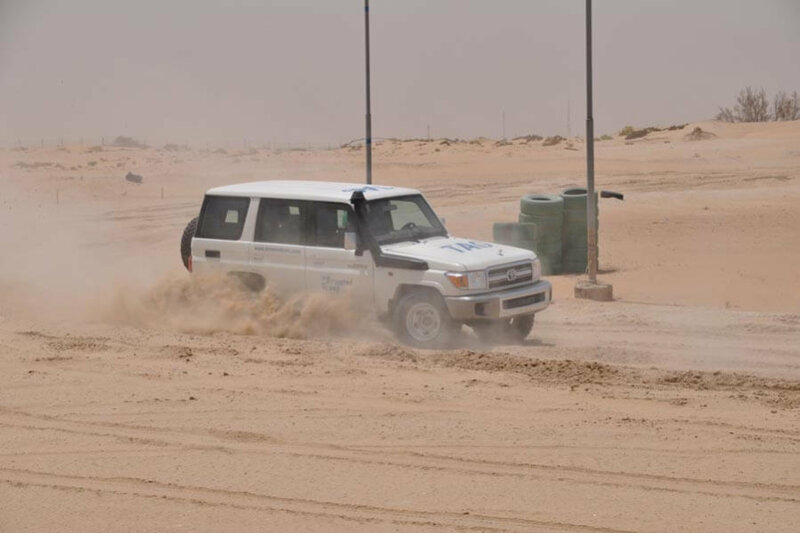 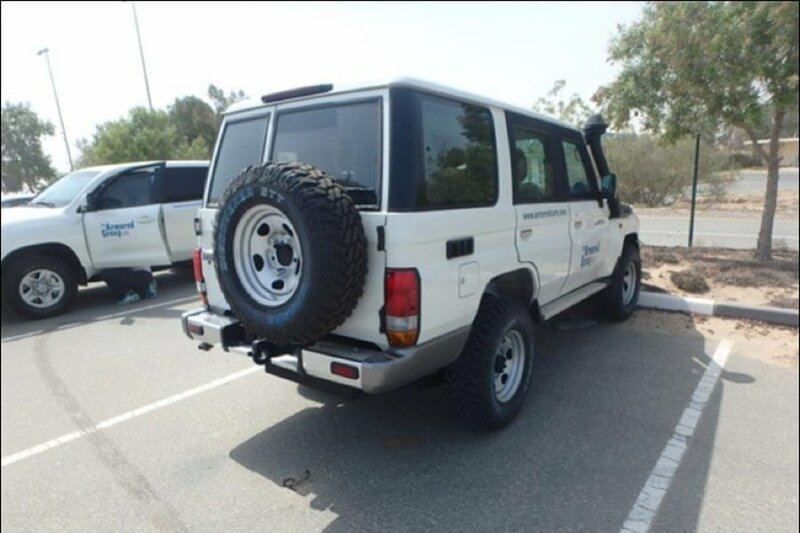 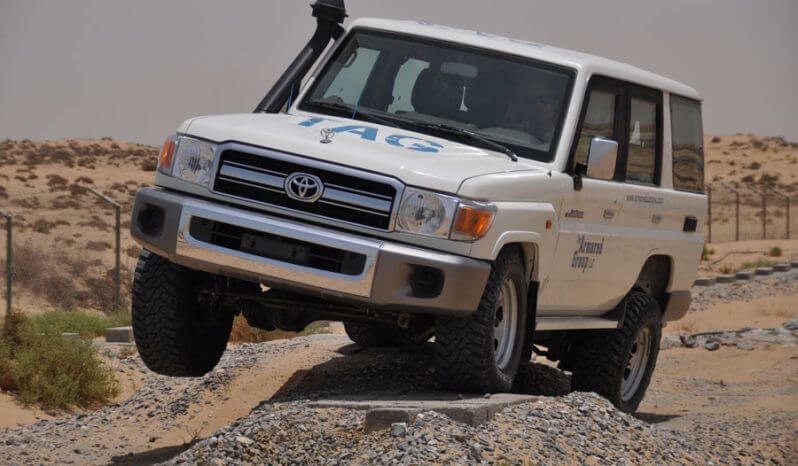 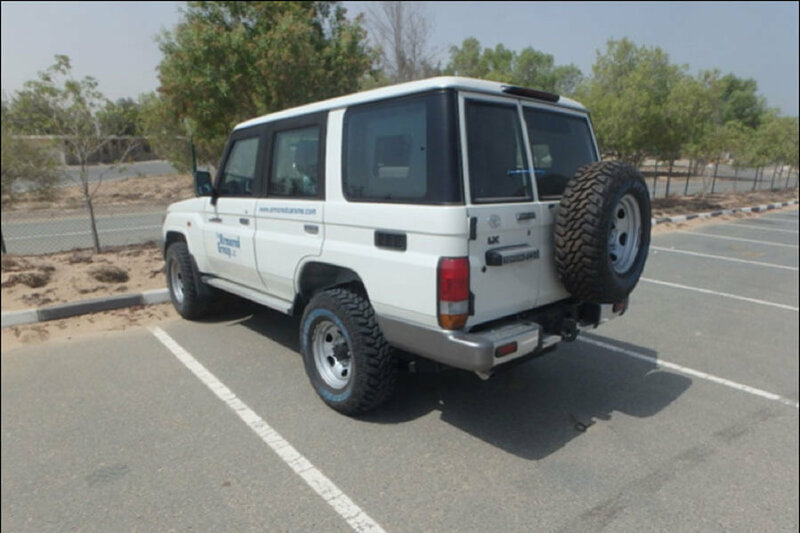 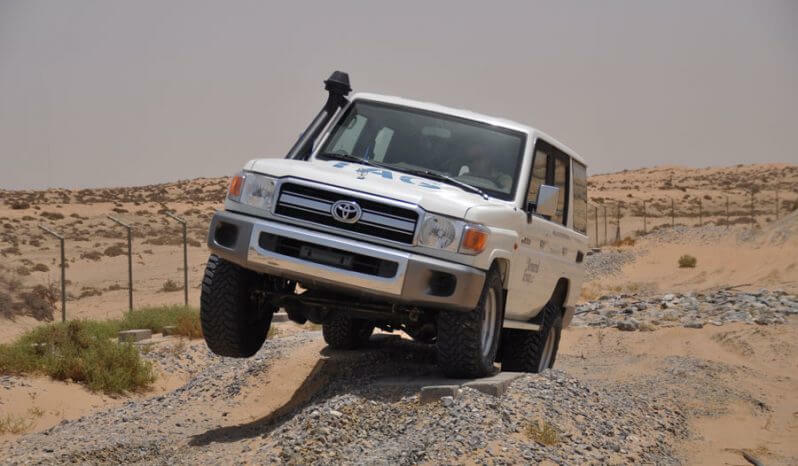 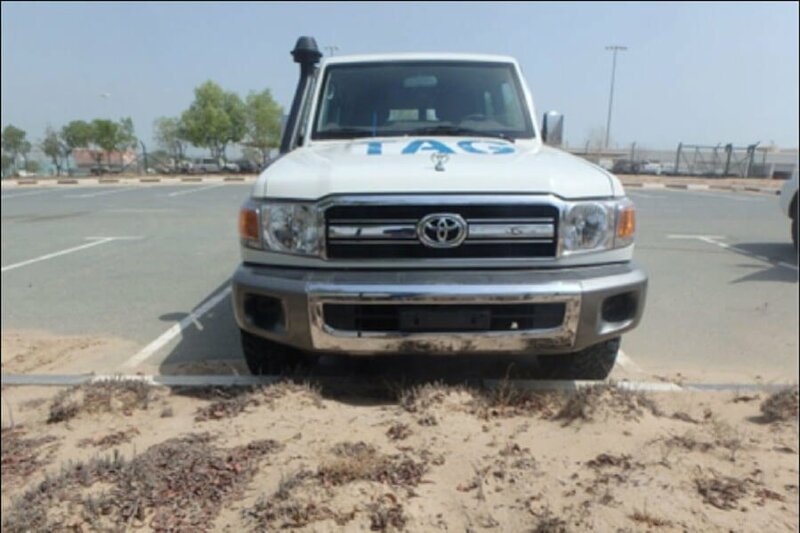 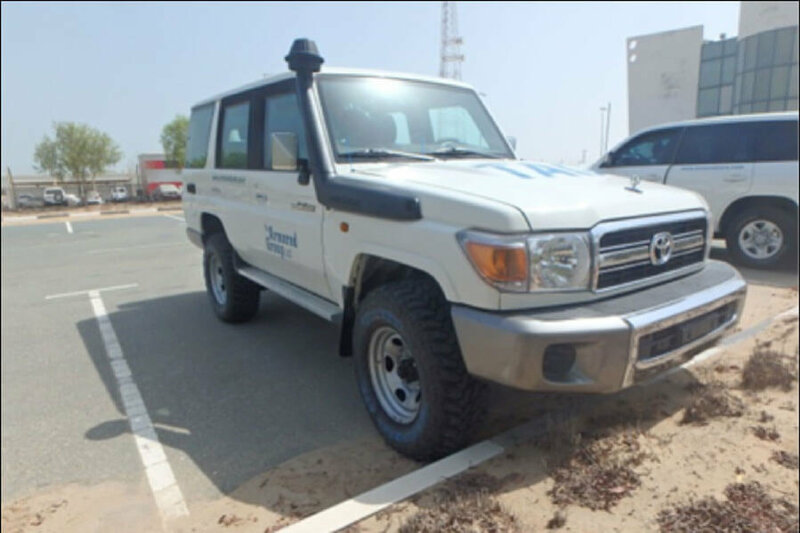 No matter the mission, we can customize the armored Toyota Land Cruiser 76 Series from TAG to your requirements. 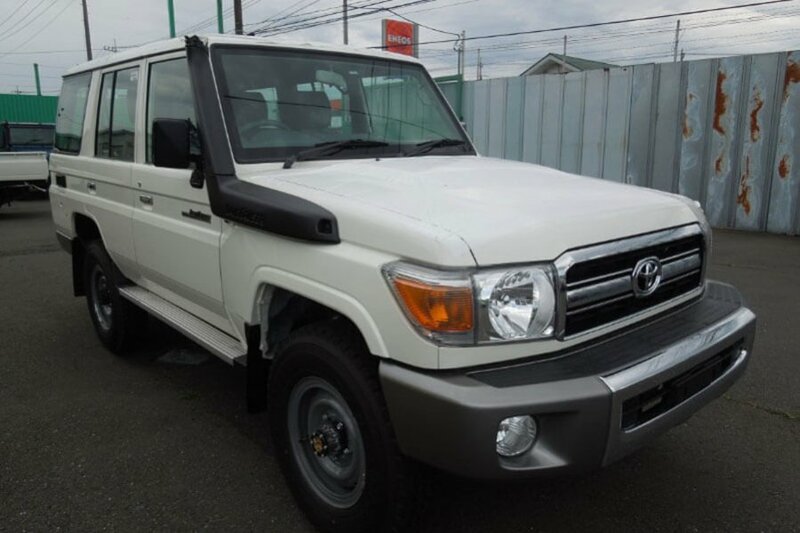 In the lineup of Toyota’s 70 Series vehicles, the 76 Series is the most practical. It is ideal in urban and rural settings, fitting snugly into tight spots with a medium-length wheelbase. 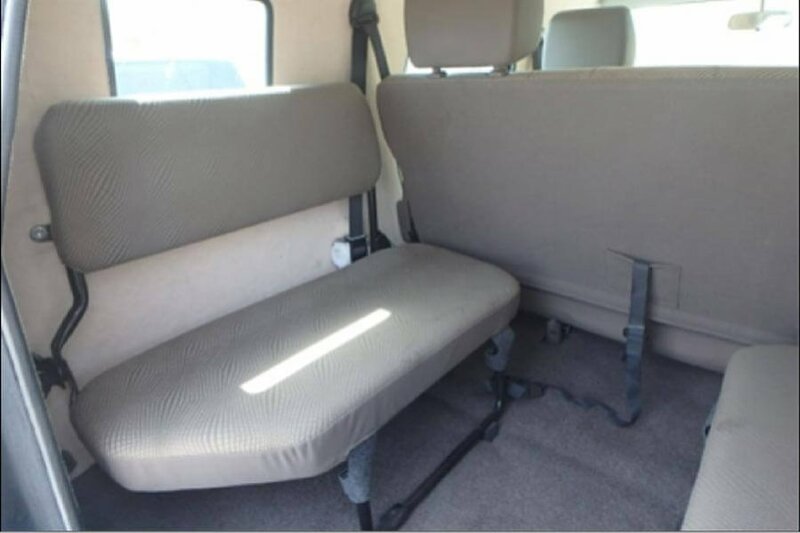 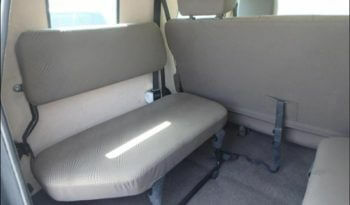 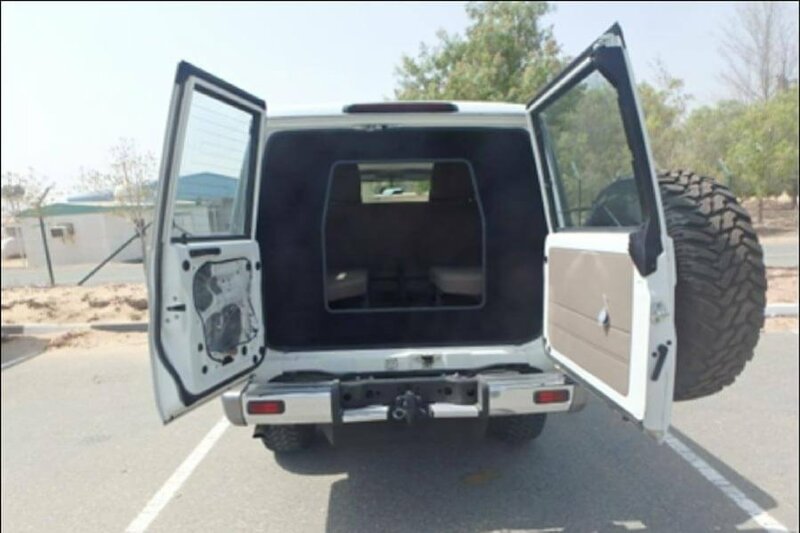 Even fully loaded, with officers and gear taking up the seats, there is ample storage space. 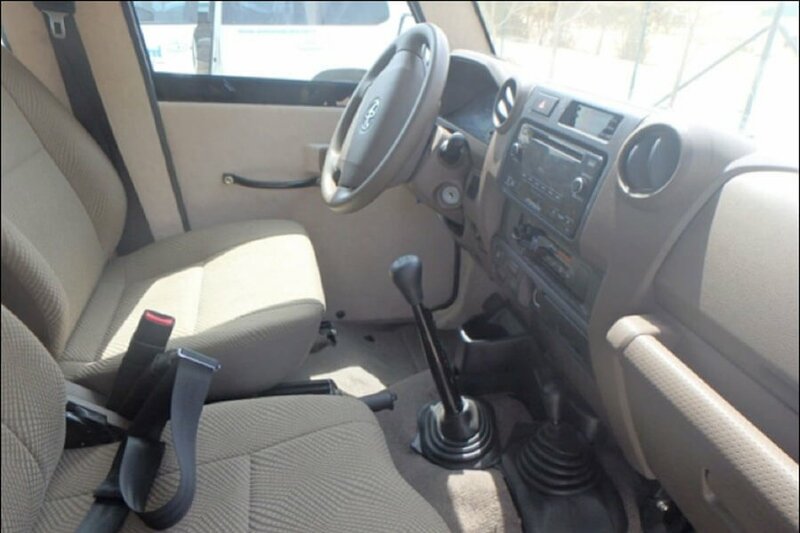 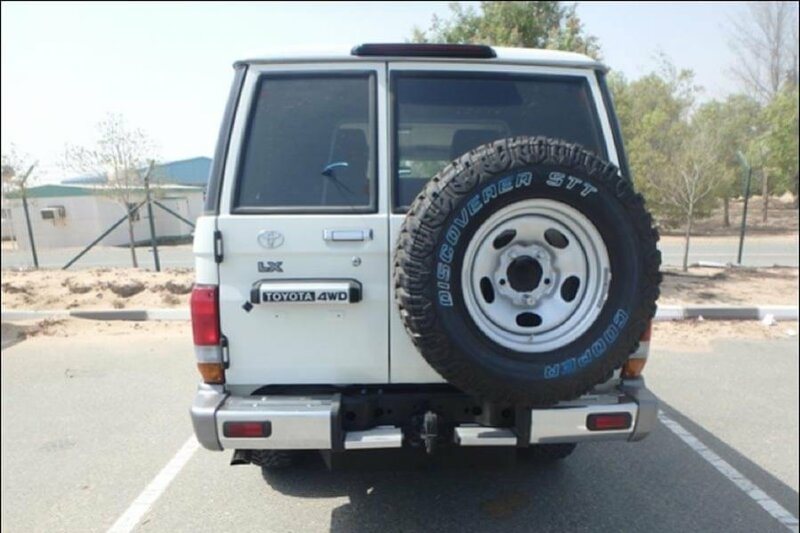 The bulletproof TAG Toyota Land Cruiser is available in left (LHD) or right (RHD) hand drive, has multiple engine/transmission options, and with our suspension upgrade it boasts impressive off-road capabilities. 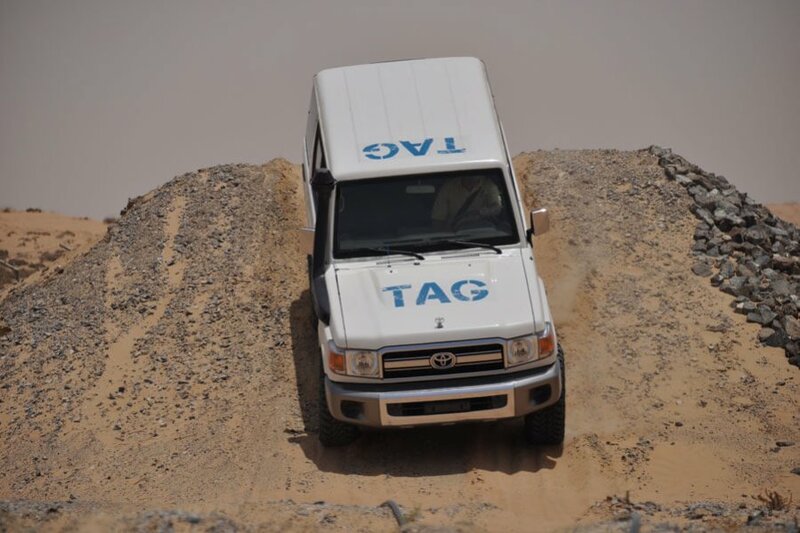 When you purchase a new or used armored SUV from TAG, you custom-design your vehicle or fleet of vehicles with our team of expert engineers. 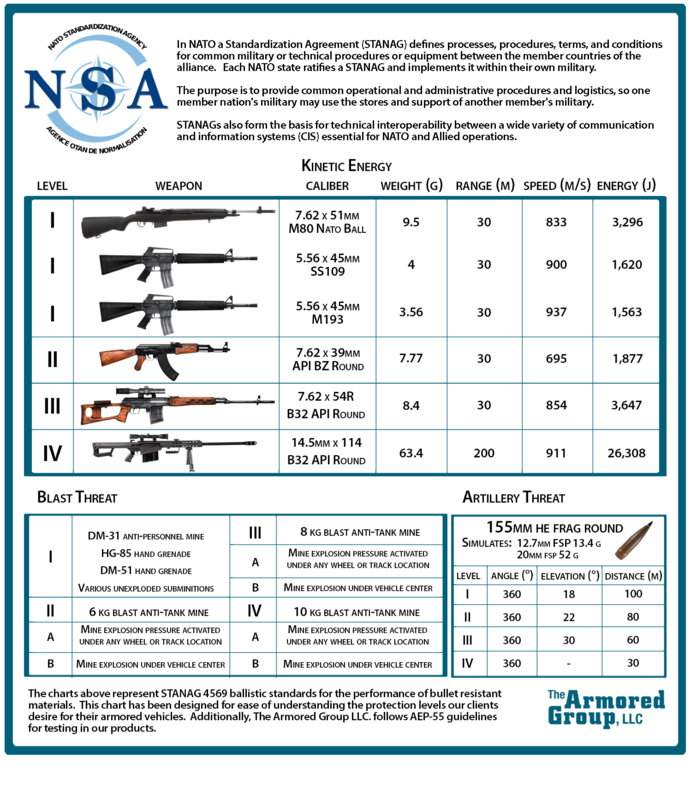 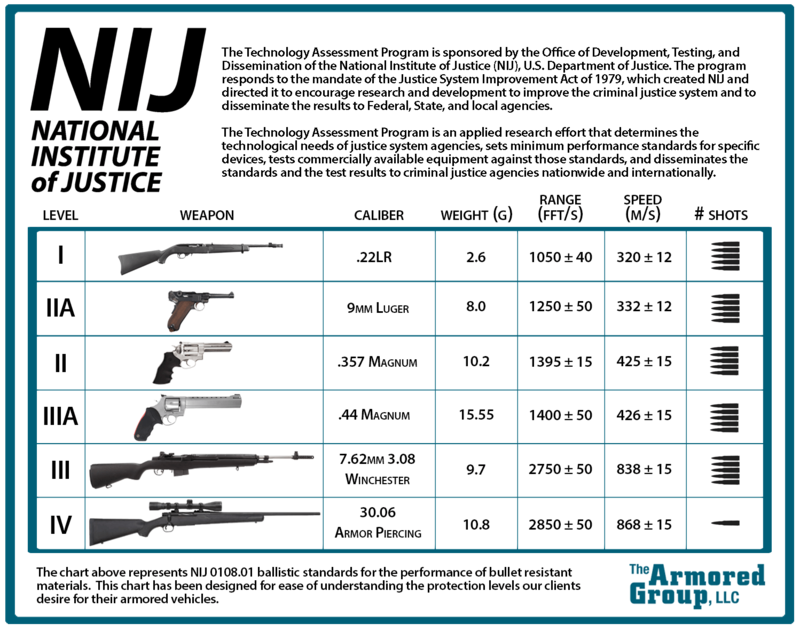 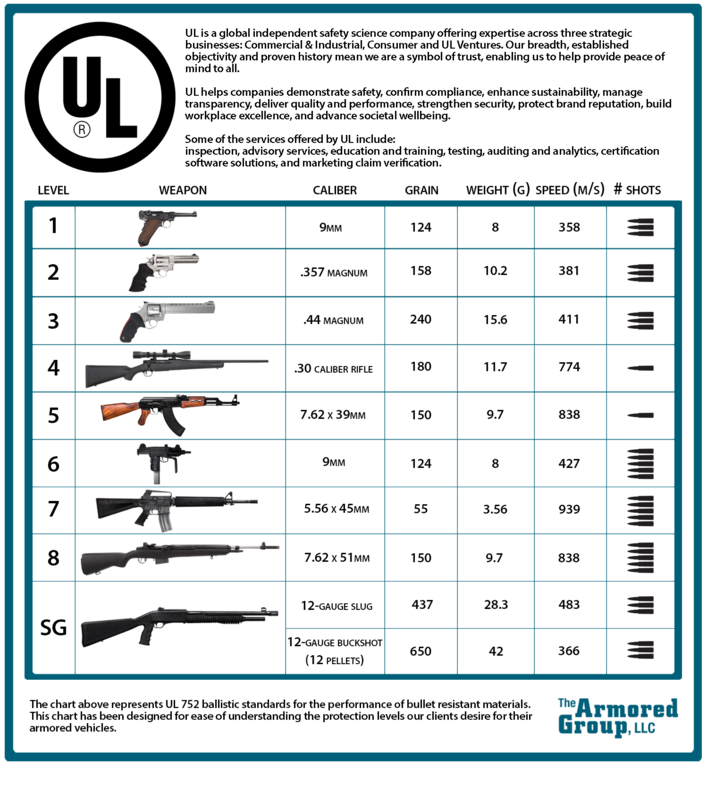 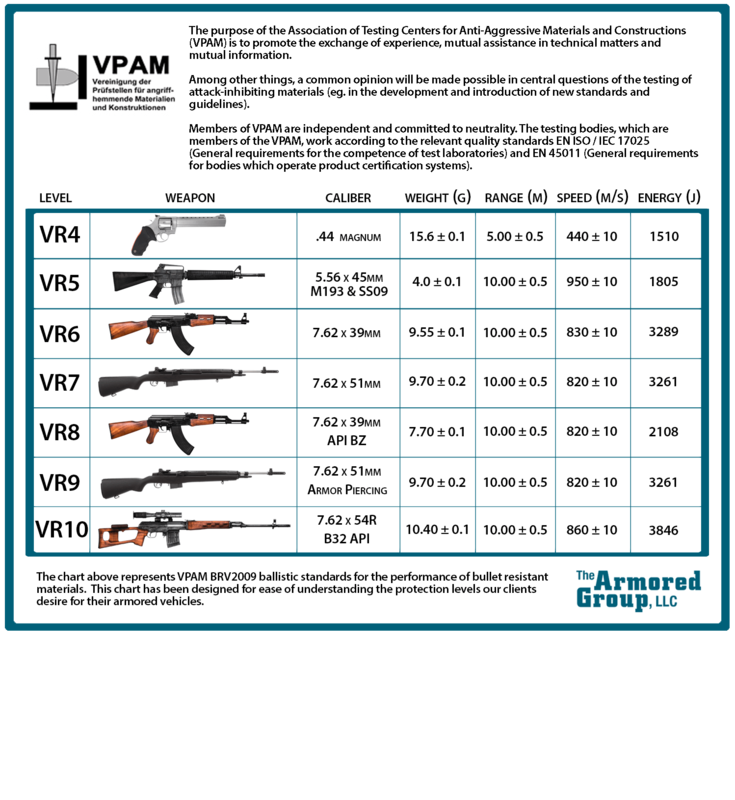 Opt for our basic armoring package, which includes bullet-resistant glass and floors, or add more features. We have dozens of features available for the TLC 76 Series chassis, all depending on what you see fit for your unit. 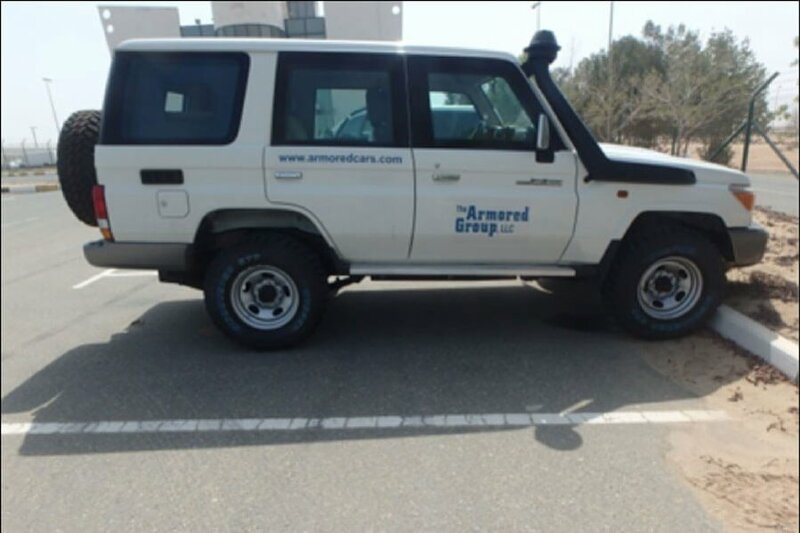 Choose from an emergency light system, public address system, siren, fire suppression system, heavy-duty brake system, and more. You can also add heavy-duty tires, turbo chargers, and lightweight armor for better performance. 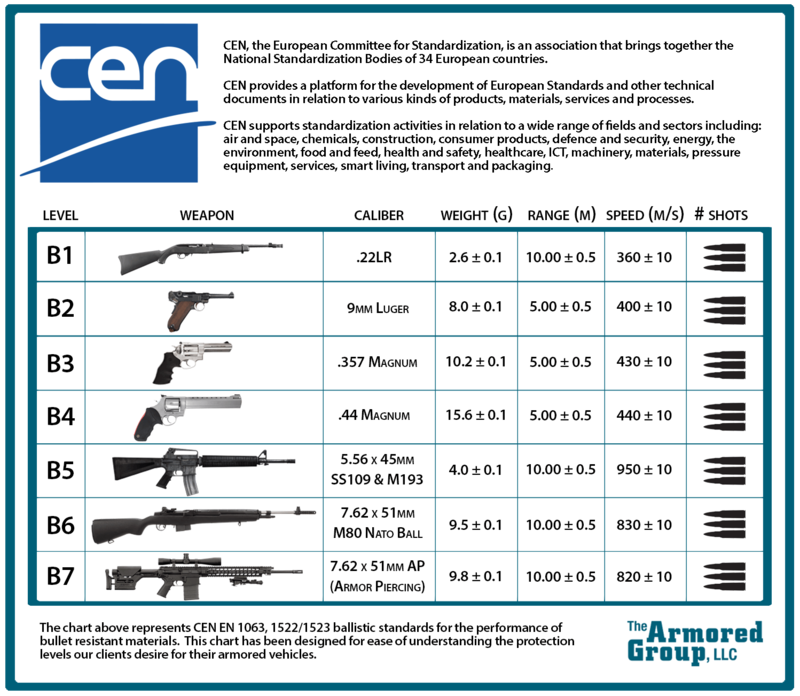 Why Choose the TLC 76 Series? 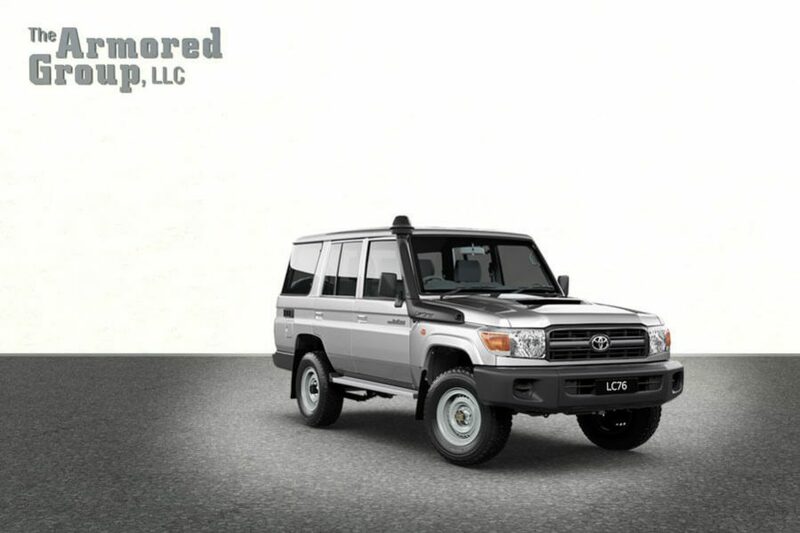 An armored TLC 76 Series may be just what your unit needs to achieve its goals on-time and on-budget. If this vehicle sounds like something you want TAG to complete for you, give us a call to set up an appointment at (855) 824-7233. 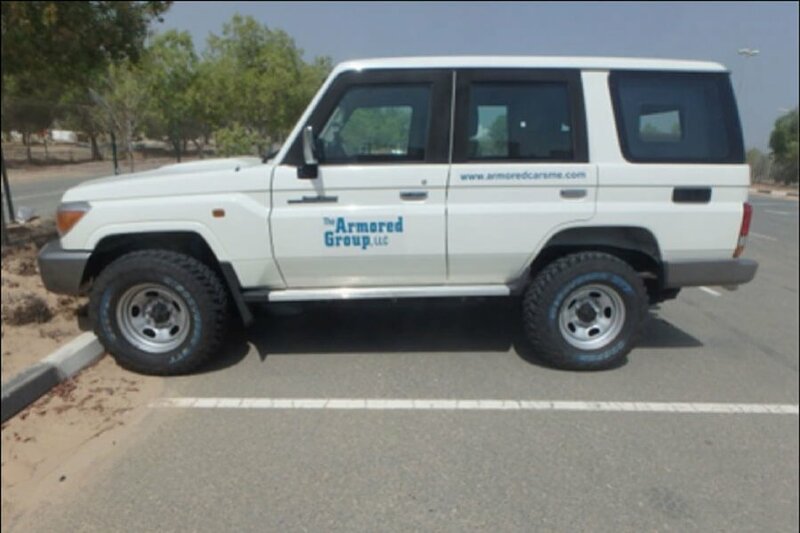 Contact us today for a price quote.